In today’s busy workplace, most of us rarely take the time to think about our health unless it is impeding our daily life. Spending the time to research and make changes in your life today will payoff later on down the road. Your spine is one of the most important parts of your body. Keeping it optimally functional is the key to having a healthy life. 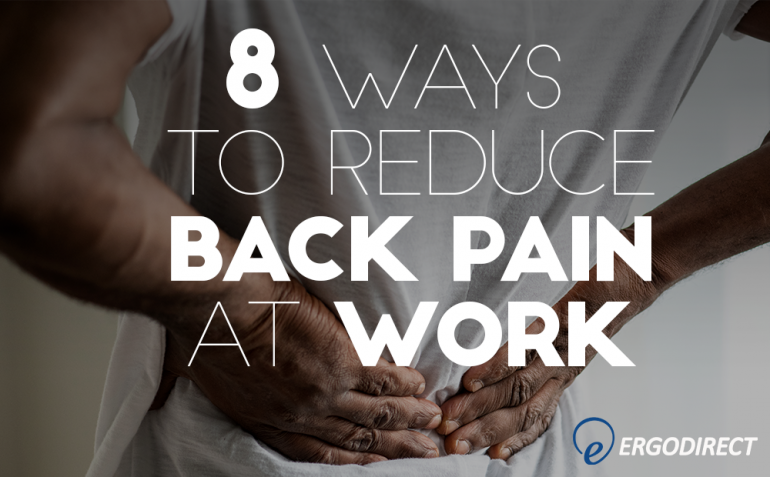 Here are some ideas to help you minimize and relieve back pain while at work. The Sun Salutation is one of the major sequences (series of interconnected stretches) in the Vinyasa school of Yoga . If you have studied yoga, you will likely recognize this sequence as it is one of the most common warm-up routines. Not only does it stretch your back – it strengthens your core and relaxes your mind. Performing this daily should help maintain a healthy spine. If you are like me and are always rushing in the morning, you might want to check out the Moon Salutation alternative. Looking for a more direct fix – try one of these back stretches. If you are experiencing back pain in a particular region, a direct stretch paired with the Sun Salutation should yield the desired results. Try these steps out for a week and you should feel much more comfortable throughout the day. Give your back a break. If you are standing all day at work, sit down and give your back a rest. If you’re sitting all day, you may want to take a standing/walking break every 45 minutes. Being static for hours stresses the muscles that hold you in that position. Get up, pour yourself a cup of coffee, walk around, make copies, say hi to a coworker, or step outside. 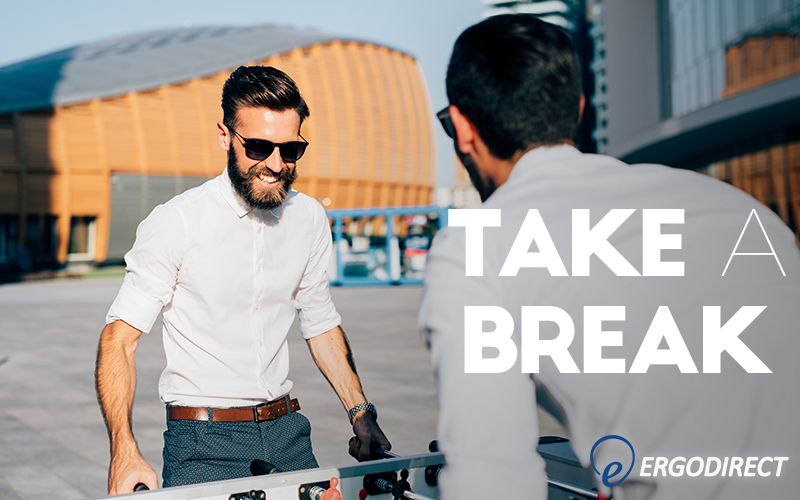 Make sure you’re taking advantage of your breaks to stretch your legs or relax your back. You may be experiencing back pain due to sitting in a chair with poor back support. Fortunately, there are many chair options that exist for this exact purpose. Ergonomic chairs are designed to provide your back relief and support you throughout the day. A decent chair with lumbar support will reduce the chance of experiencing lower back pain. 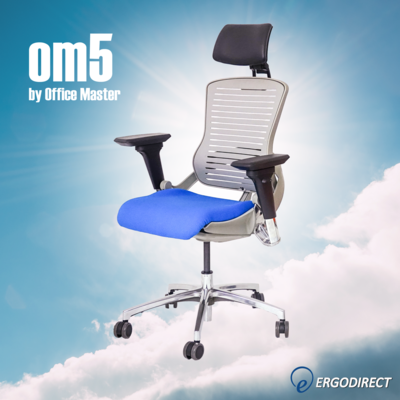 We currently recommend the Office Master OM5 which features a dynamic reclining mechanism that automatically adjusts to you depending on your position. Depending on your workplace, a different option may be better suited for your situation – view more options here or chat with our team if you’d like a personalized recommendation. When was the last time you adjusted your screen? If you can’t remember, then now is the time to make sure it’s in the right spot. Having a screen that is too high or too low puts pressure on your neck and upper back. First, make sure your neck and back are straight. 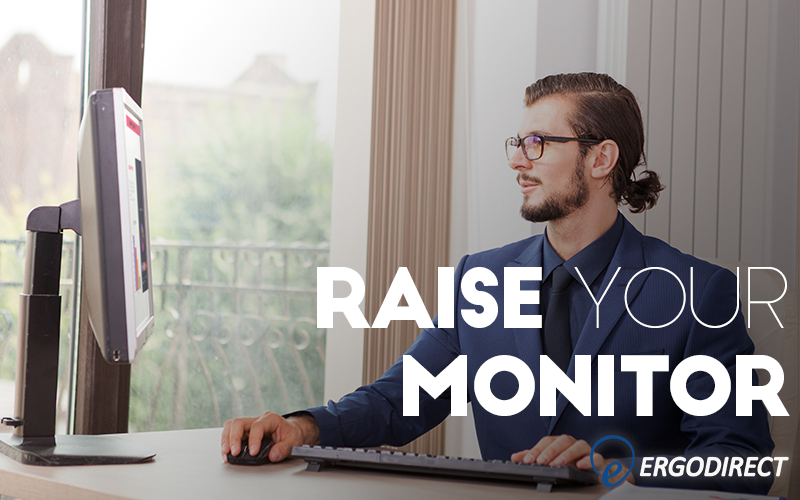 Then adjust the height of your monitors until they are at or just below eye-level. Please make sure that your eyes are looking downward when looking at the screen. You may need to put a book or two under your screen. If you’d like a more elegant solution, consider trying out a monitor arm. For those with static workstations or offices, upgrading their workspace with a sit-stand converter will get rid of their sedentary working style. 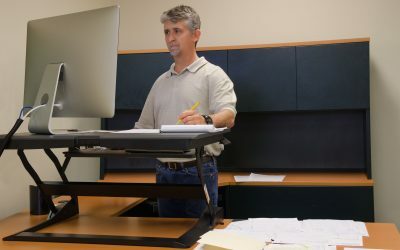 Switching to a sit-stand has many benefits – the ease of converting between the sit and stand modes makes it fun to move. You can take calls and notes while standing up and sit when doing heavy typing or thinking. 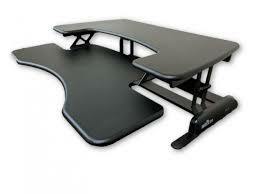 These converters are more reasonably priced than full desks and take up a minimal amount of space. We have an extensive line-up of converters suitable for a variety of workplaces . If you work for a medium or larger company, you may be able to request a converter as a way to mitigate the chance of a repetitive strain injury (RSI). Talk to your office or facilities manager. You’re probably thinking, how could my mouse and keyboard position cause me back pain? Your mouse and keyboard are used by your hands which means that if your keyboard is high above your thighs, your shoulders are hunched up, under pressure and most likely holding the weight of your arms. This puts stress on your upper back which could cause tension over a long period of time. To prevent this problem, move the keyboard and mouse closer to your thighs. The keyboard position should be pretty close to the natural resting position of your arms and hands – a few inches above your thighs with your elbows at 90°. 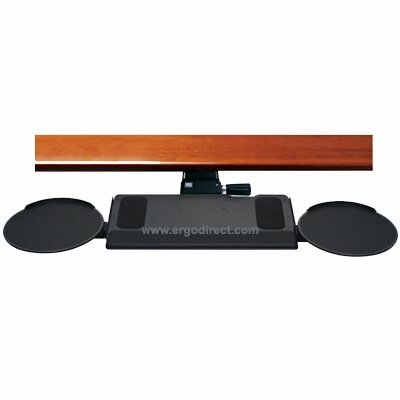 If your desk does not have a keyboard tray, try out one of these options. The last tip is to focus on your sitting posture – a common cause of lower back pain. When in a chair, your back+hips and your quads+legs should both be at a 90° angle. Proper posture will make you work more comfortably and confidently throughout the day. Learn more about posture here – The Sitting Myth. If you’ve followed the steps above, your back will likely be thanking you. If you are still experiencing back pain, consider contacting us or reaching out to an ergonomist for a full workstation review. If your pain stems from something outside of the workplace, consider reaching out to a chiropractor or an orthopedic doctor.